It's my first day on the job with The Information Lab, so what better way to celebrate my first day and the release of Tableau 9 than with a video tip. Over two years ago I wrote about how to create a reference line for today. In this week's tip I take it step farther, by showing you how to create a moving reference line based on user input from a date parameter. Andy - I'm seeing again the mis-sizing of the viz above as someone had pointed out in a previous post. I replicated this on Safari, Firefox, and Chrome. This is just an image, so click on it and you'll see the workbook. 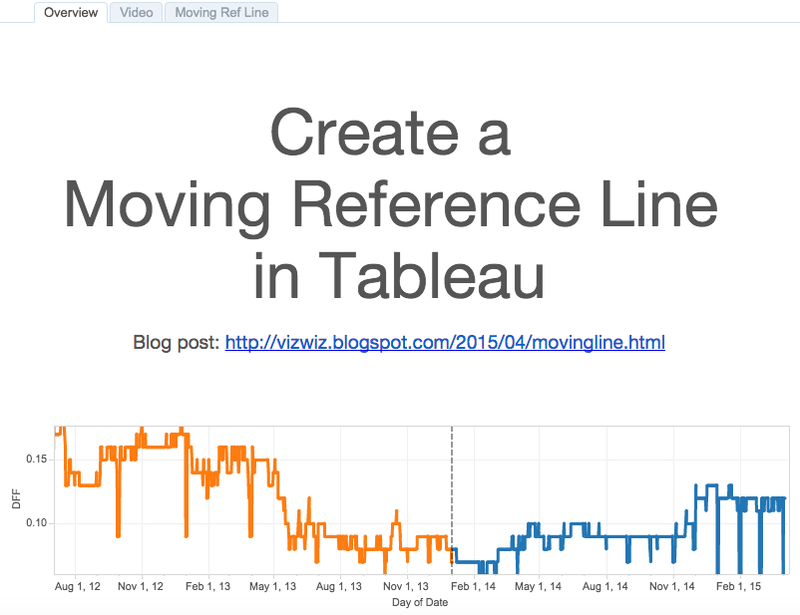 Congratulations on the new job, and thanks so much for Tableau Tip Tuesday - I think it's fantastic.